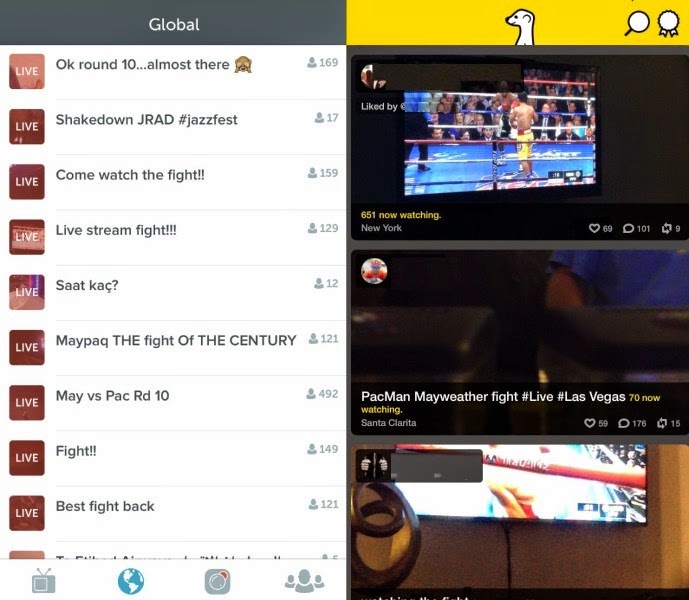 It’s all about the headline folks, but here’s the real punchline: if you logged onto Periscope or Meerkat during the Mayweather/Pacquiao fight this weekend, you were greeted by the sight of dozens of live streams of a fight many people paid $100 to watch. That’s right: someone paid $100, and then out of some Robin Hood-esque sense of fairness, the desire to grow their follower base, a misguided notion of sticking it to the man or maybe even some “Hey, let’s turn this on and see what happens” hijinks, some of the fans who’d paid $100 for the HD broadcast on PayPerView turned on their smartphones and broadcast the event to tens of thousands of other people who didn’t pay $100 for the privilege. Some of the more popular Periscope streams had close to 10,000 viewers. Meerkat, which was the night’s clear runner-up, was running closer to 3,000. 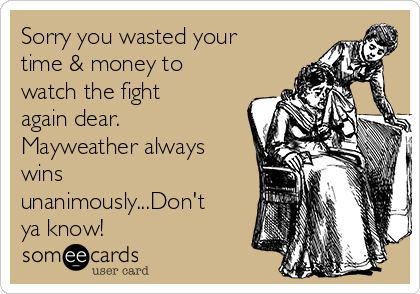 Either way, there were a lot of people pirating the boxing match which equated to a whole lot of copyright violations going on. So should HBO and Showtime, who hosted the PPV event and whose revenues stand to be affected be concerned? Absolutely. AsAdAge reported today, during the night of the fight, copyright holders sent Perisciope 66 takedown requests and only 30 of them were removed. But should the onus here be on the copyright holders to monitor and send in requests? Aswe pointed out when YouTube quietly shut down Katch a few weeks ago, the platform provider needs to make a concerted effort to monitor the content they are hosting and proactively shut down streams that are clearly in violation of their Terms of Service. This is the very reason YouTube spent nearly a decade in corporate litigation with Viacom, and why they are now extremely diligent in monitoring the YouTube universe with their Content ID system. Based on the reporting that only 30 streams were shut down, Periscope could have done a much better job to identify the offending streams. The process is simple: use searchable key terms and concurrent video load alerts to identify high demand streams, manually check them out and then shut them down… by hand using humans… without having to wait for a takedown notice from the copyright holder, a notice that’s particularly futile as streams are only live for 24 hours and the appeal is watching them in real time. And now, thanks to live streaming, we have a Meerkat in a coal mine. Because all these live streams create a new wave of legal and broadcast rights issues that we’re just beginning to scratch the surface of. And the answer is going to be a lot trickier than it ever was for tweets and Facebook posts. How are we ever going to track and compensate these athletes, musicians and rights holders for all of the streamed performances once they go big time? On top of that, what’s going to happen once anyone tries to monetize these platforms? Imagine what would happen if Jared Leto, one of the most popular casters was at the Meadowlands and decided to start casting a Jets game along with Gary Vaynerchuk, another popular caster (and big time Jets fan.) Combined, the two of them could drive a considerable audience to their streams. 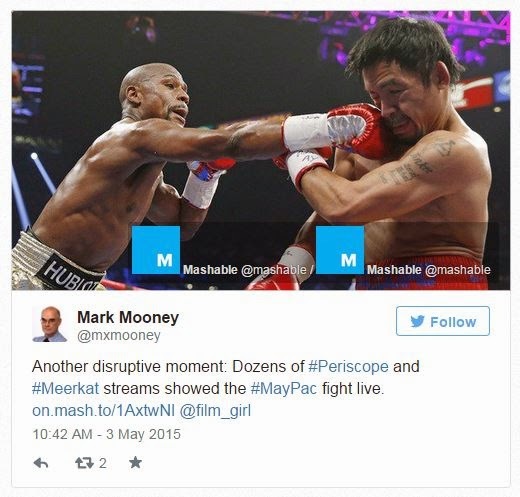 What if Periscope started running ads against those streams… Who owns that revenue? How is it tracked? How furious (and litigious) would the NFL be, let alone CBS, ESPN and NBC? It’s not just about advertising. The PGA Tour had a meltdown this week when Stephanie Wei, a well-regarded blogger, Periscoped the tour’s golden boy Jordan Speith taking some practice rounds. This is not footage anyone would ever broadcast, but the PGA reacted as if Wei had drilled a peephole into the locker room: they’ve banned her from the tour for the rest of the year. The question here is who owns that footage. The PGA says that anything that happens on the tour is their intellectual property, even if it never would have made it on air. The very fact that it could have made it on air is enough. Wei and her supporters (who boosted #FreeWei to trending Twitter status) contend that they are just enhancing the overall experience and driving more fans to the main event. But that just raises a larger question: since Wei is a “journalist” does she get a free pass? What if a couple hundred fans were Periscoping that practice round? Would that make it different? The controversies are only going to continue as more and events from sports to concerts to court proceedings are live streamed without the “express written consent” of the people who own the rights to the event. It’s a huge boon for anyone specializing in media and copyright issues and it’s sure to spur a number of court cases challenging everyone from Twitter to fans to rights holders for years to come. However it shakes out, one thing is clear: social and mobile based live streaming is here to stay. But, Twitter is sailing in deadly waters, do they really want to use Periscope to seek out their next battle with the major media companies?